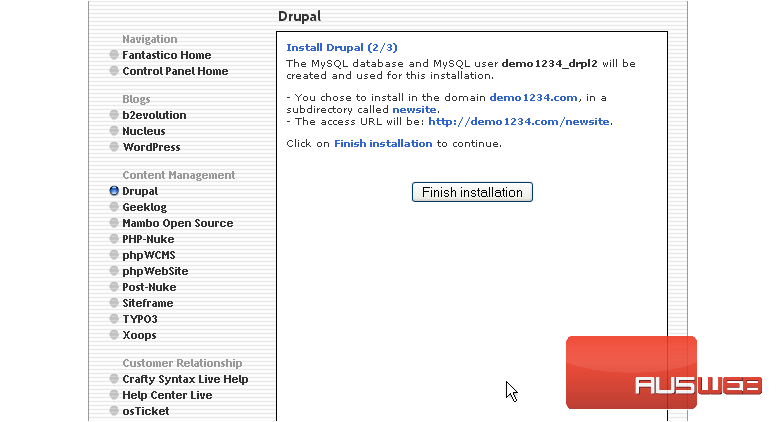 1) Now let’s learn how to install Drupal. Click the Drupal link located in the left sidebar. 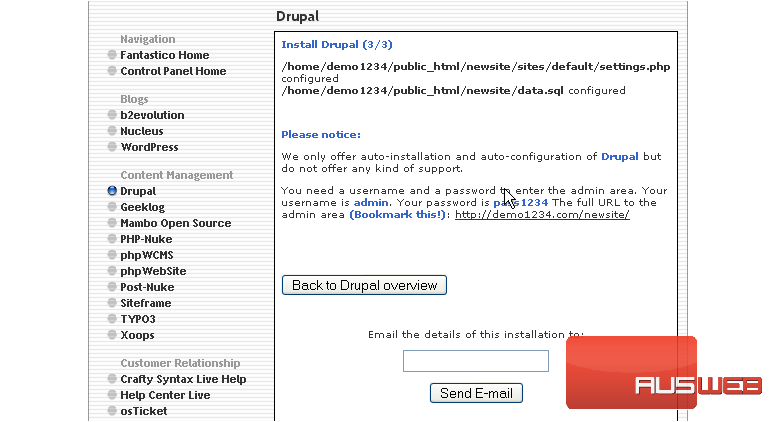 2) This is the Drupal installation screen. 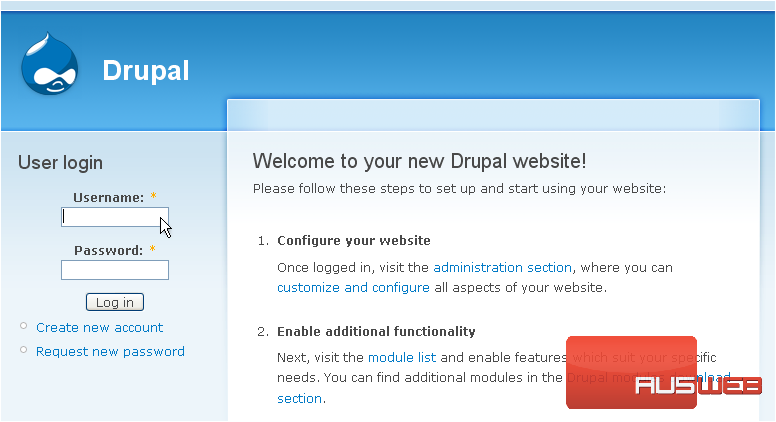 Drupal is an advanced portal with collaborative book, search engine friendly URLs, online help, roles, full content search, site watching, threaded comments, version control, etc. 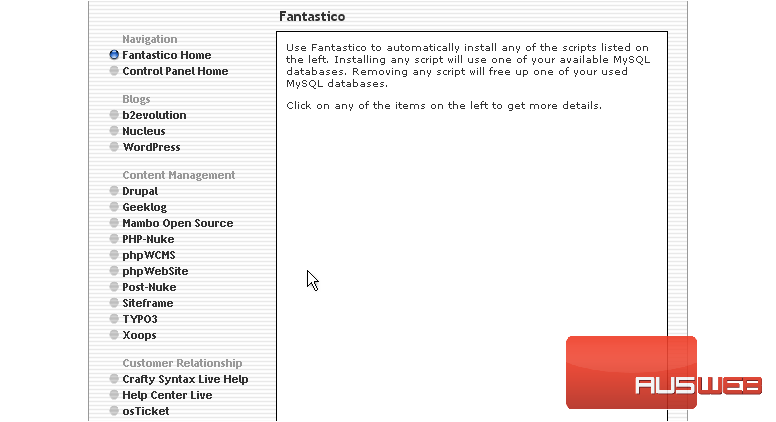 Click the New Installation link. 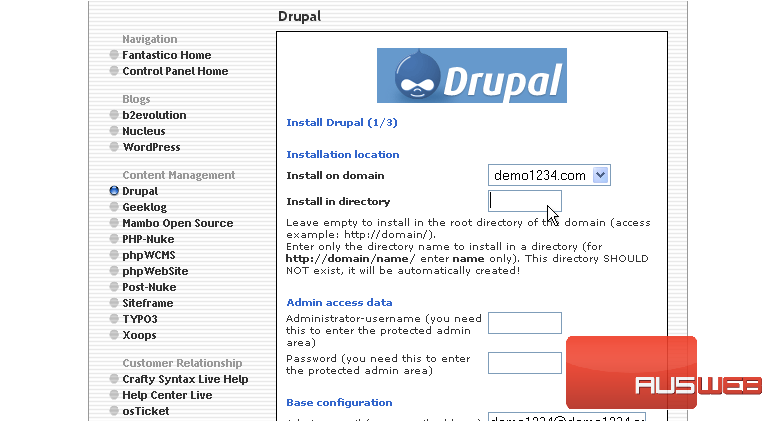 3) Enter the name of the directory you want to install in or leave this field blank for installation in the root directory. 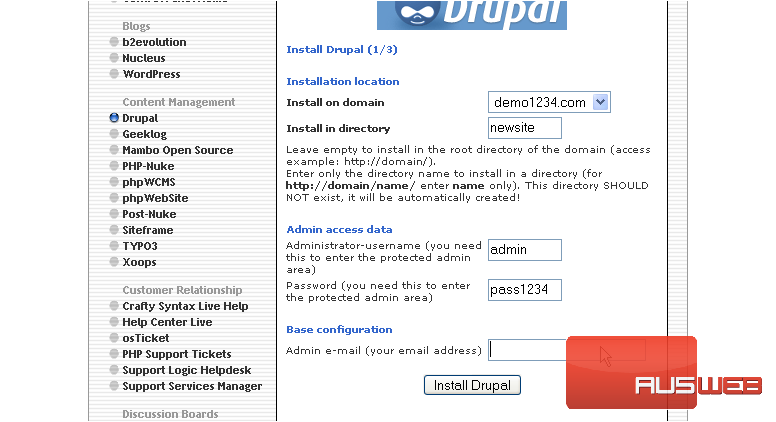 4) Enter an admin username and password in the following boxes.